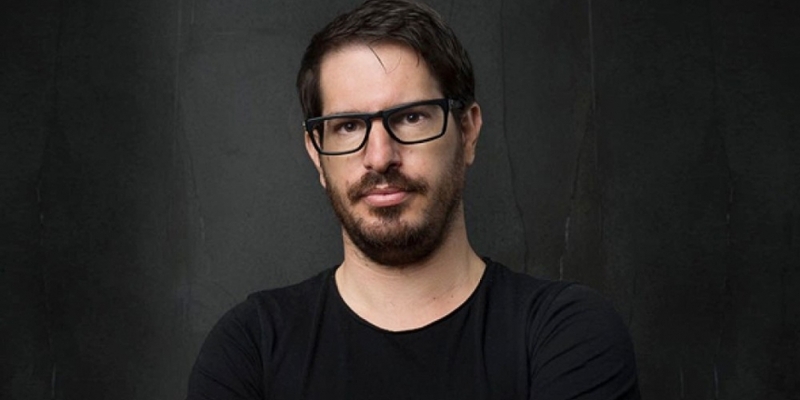 Best-known internationally as the chief executive of the blockchain smartphone startup Sirin Labs, Moshe Hogeg is becoming known for something else in Israel – mounting lawsuits. This follows an earlier case involving Hogeg’s company Invest.com that has since been settled. Specifically, in the case of the ICO for the startup Stox, a company co-founded by Hogeg and endorsed by boxer Floyd Mayweather (resulting in a fine from the SEC), the lawsuit claims Hogeg inappropriately withdrew proceeds from its $35 million ICO and used the funds for other projects, including Sirin Labs, his VC firm Singulariteam and the blockchain startup Orbs. The Stox lawsuit, which focuses on several sections of the startup’s white paper, alleges Hogeg encouraged people to invest in the Stox ICO by touting a partnership with his own firm, Invest.com, having effectively “made a contract with himself” to inflate interest in the offering. It also says Hogeg presented himself on Telegram as a mere investor rather than a leader of the project, giving the illusion of more participants. The Stox lawsuit also mentions allegedly mismanaged funds going to Sirin Labs, the startup of which Hogeg is currently CEO. Sirin raised more than $157 million in a 2017 token sale and is now seeking distribution partners for its Finney smartphone. Hogeg said he is himself one of the leading investors in Sirin Labs. After leaving Stox in 2017, he took the reins of the company from Kazakhstani investor and Sirin Labs founder Kenges Rakishev. The lawsuit claims some of the funds Hogeg allegedly mismanaged during the Stox ICO, before he joined Sirin Labs, were distributed in some fashion to the blockchain company Orbs. Beyond the Stox ICO, Hogeg was listed that same year as an advisor to the LeadCoin ICO, launched by a startup called Webydo that Hogeg also invested in through Singulariteam. Singulariteam’s second managing partner is Rakishev. In light of the questions that have been raised about Stox and Sirin Labs, CoinDesk partnered with the blockchain analytics firm Alethio, part of the Brooklyn conglomerate ConsenSys, to use its new reporting tools to explore the ICOs in which Hogeg has been involved. Alethio prepared a three-pronged report detailing its analysis, which covered the Stox ICO, the Sirin Labs ICO and the LeadCoin ICO. The report concludes that all three ICOs have a single top holder in common, a wallet that as of February 2019 still held roughly 3 percent of the supply of all three tokens, respectively. This wallet, 0x8c373ed467f3eabefd8633b52f4e1b2df00c9fe8, also engaged in a unique pattern of transfers during the LeadCoin ICO, which will be explored below. Although the blockchain analysis by Alethio doesn’t show who controlled any wallets, and Hogeg’s spokesperson declined to clarify if they are aware of the owners, the blockchain analysis did show that the wallet with all three tokens received LeadCoin tokens indirectly, through a repeating pattern of proxy transfers, from the LeadCoin sale itself. Separately, Alethio also found that during Sirin Labs’ SRN token sale, one wallet received 4,564 ETH from the SRN sale’s official wallet. This second wallet (0x59b681402bcb2c8460a506a88d75be1cf1326528), later sent back the same amount of ETH to the SRN sale’s account, potentially creating the appearance of more activity. Alethio data scientist Danning Sui explained that her team “found a circle of ETH transfers” related to the SRN ICO. Lastly, this second wallet eventually received 50 percent of all SRN tokens, according to Alethio’s analysis. Many of the SRN tokens from this wallet appeared to end up on exchanges shortly after the sale. Both of these examined wallets have transaction histories that are publicly recorded on the ethereum blockchain. Sui explained that the blockchain data does not suggest any connection between the parties that operated these wallets involved with withdrawals from the LeadCoin sale and Sirin Labs sale, respectively. Nor does the data suggest there is a pattern that connects these three sales other than common investors, such as the wallet 0x8c373ed467f3eabefd8633b52f4e1b2df00c9fe8, which is a top holder of tokens from Sirin Labs, LeadCoin and Stox. In short, tokens appear to have gone from the official LeadCoin issuance contract, through numerous independent wallets, to a single wallet that also happened to be one of the top-10 holders of SRN and STX, according to Alethio’s analysis. Alethio’s new suite of investigative tools are not intended to guide interpretation of the data, Sui said. Instead, these tools are merely meant to help people make more informed decisions based on understanding the flow of funds. Aside from the above-mentioned lawsuit, it appears that some of Hogeg’s relationships with other companies across the crypto ecosystem may now be strained. Since joining the blockchain sector in 2013, Hogeg has invested in and worked with many of Israel’s crypto startups. Hogeg is the owner of both the VC fund Singulariteam and the blockchain consulting firm Alignment Group. A press release issued in 2017 indicated that Alignment was being founded as a “blockchain hub” by Hogeg’s Singulariteam, the blockchain firm BlockchainIL and crypto investment group CoinTree Capital, run by Uriel Peled, also the founder of Orbs. The press release also noted that Alignment’s clients included Bancor, and features a photo of Bancor co-founder Eyal Herzog. The company logo for Orbs also appears on the Alignment website. An Orbs spokesperson told CoinDesk that although “several Orbs founders initially considered involvement in Alignment,” none of them officially took part. Orbs founder and former CoinTree CEO Peled was also featured as a LeadCoin advisor on that ICO’s website in 2017, a connection Orbs denied as well. Hogeg told CoinDesk that within a few short weeks after establishing Alignment, both of the other entrepreneurs – Peled and Herzog – left the advisory firm, leaving him as the sole owner. While an Orbs spokesperson denied involvement with any of Hogeg’s crypto projects, CoinDesk was able to confirm with the Orbs team that Hogeg invested in Orbs through Singulariteam. Avishai Ziv, CEO of both Singulariteam and Alignment, told CoinDesk that his companies invested in both Bancor and Orbs. Ziv explained these investments sometimes took the form of services provided by Alignment, traditional fiat investments through Singulariteam or cryptocurrency sent by Hogeg, depending on the context. Singulariteam CFO Guy Elhanani is also simultaneously the CFO of Sirin Labs. As for the lawsuit, it claims that Hogeg urged investors to participate in the Stox ICO by claiming the token could be listed on the cryptocurrency exchange Binance. The consulting firm Hogeg owns called Alignment Group lists Binance on its portfolio page. Much like both the Stox and LeadCoin tokens, Sirin Labs’ SRN token suffered in the broader market since ether prices dropped. According to ICO-class-action.org, there are now 52 people interested in filing a new lawsuit against Sirin Labs because that SRN asset and its blockchain ecosystem may not have sufficient value. As of the time of press, it is unclear who the plaintiffs would be or what the details of this alleged case would be, although a representative from the site confirmed that documentation for this prospective case is proceeding. As for Sirin Labs, a Ukrainian retailer called Legio LLC confirmed it will soon start selling Sirin phones in Ukraine. A Sirin Labs spokesperson told CoinDesk more than 10,000 phones have been manufactured so far and the company plans to open a flagship store in Tokyo this April.